MyGeotab is an online fleet management software with no additional cost for Geotab clients. Consult all the information on your vehicle and the driving behavior of the driver in one place, and take faster, better-informed decisions to better manage your company. Thanks to the Geotab fleet managing software, companies have powerful tools to create new opportunities for growth and savings. To increase data value, fleet managers can use MyGeotab, the software development toolbox, and personalize the software to better serve their fleet’s needs. The fleet managing software MyGeotab eliminates the complexity involved with data collecting and transforms data into useful information for your company. An example: most Geotab clients wish to understand how fuel consumption is influenced by driving habits, the length of driving periods, and the vehicle’s model. Geotab normalizes data into common measures so that you may better manage your vehicle fleet and the driving habits of your drivers. 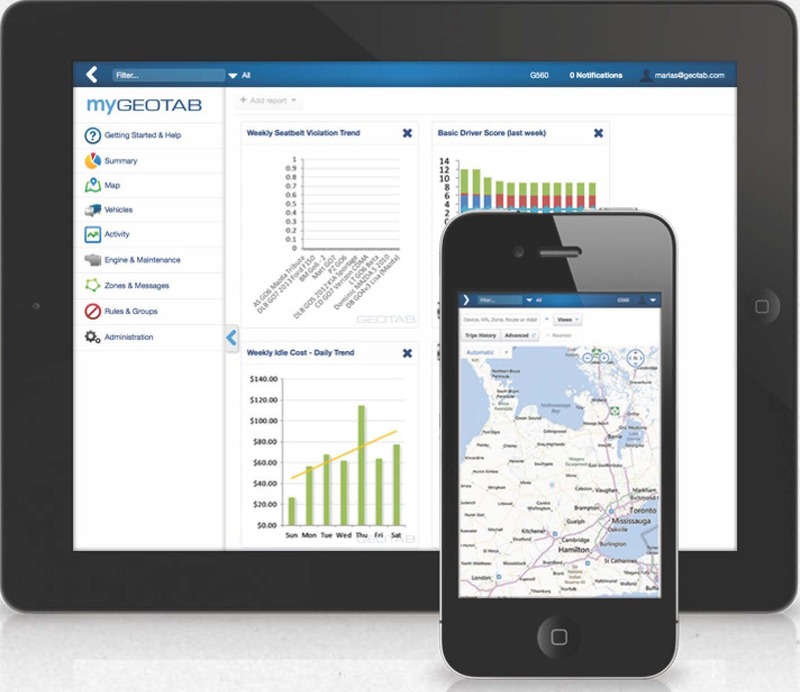 Geotab seeks to provide business data that is useful to your fleet’s management. The Geotab software integrates a preconfigured and ready-to-use policies function. Fleet managers can start by selecting or personalizing policies to help them measure activities in five key areas: productivity, safety, optimization of the fleet, conformity and upgradeability. 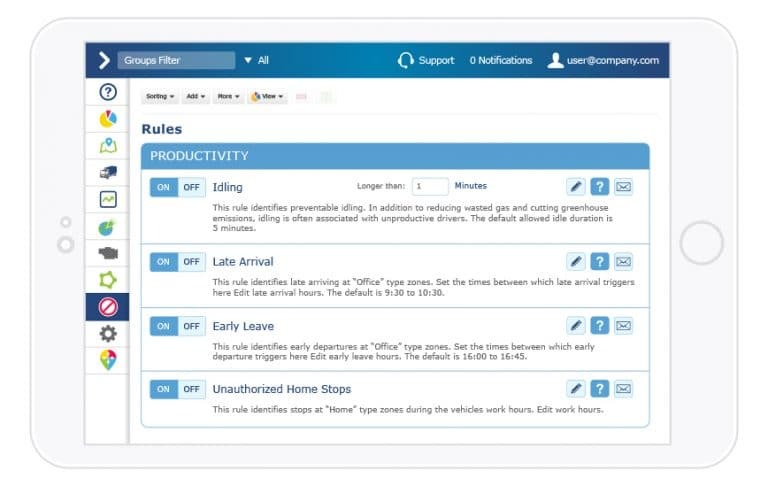 Once a policy has been selected, the administrator has a range of reliable notification options, from email sound alerts to verbal warnings to the driver in the car. The fleet management reports compare activities of one group to the other to examine tendencies, such as when the motor is idle. By using comparative values and trend displays, you can evaluate the fleet’s safety, productivity and performance. An example: comparing fuel consumption of vehicles up north to those in the south, in order to measure the influence of warmer or cooler weather conditions on the driving behavior. Another example: comparing the length of trips in urban areas with less congested roads in order to better plan the road to take or the length of the ride. Actively influence drivers’ behavior in the vehicle with retraction and coaching tools. Drivers who share vehicles are individually identifiable with Geotab’s driver identification CCP (NFC) technology. To encourage the adoption of drivers’ safe road behavior and fuel saving, Lakehead Communications has developed the Driver Challenge. This friendly app allows drivers to compare their performance with that of their colleagues, and take up the green driving challenge. The Driver Challenge is included in Lakehead Communication’s ProPlus package. 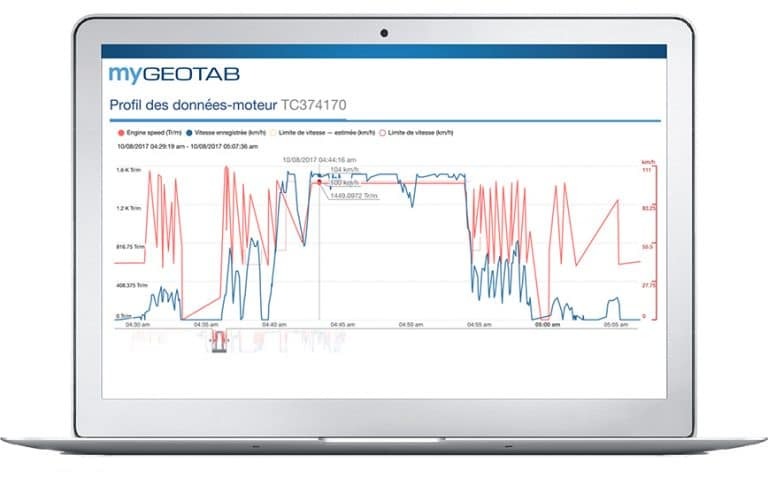 Geotab collects information and meets the most common conditions in your vehicle, such as engine speed, engine fail light, seatbelt, speedometer, engine hours, emissions, vehicle identification number (VIN), and voltage of the vehicle’s battery. With AttriX, you obtain advances diagnostics and forecasts that become integrated with our partners’ software to ensure a productive maximal time to your vehicles. The reports also allow you to detect a driver’s positive behavior, like accelerating progressively which helps reduce fuel consumption. See where your vehicles are in actual time or choose a date and go back in time to see where your fleet has circulated. Geotab’s patented algorithms provide you with specific and detailed information on the rides. Reduce the mileage and fuel consumption of your vehicles by creating geographic zones (Geofencing) and itineraries for your drivers. What’s more, Geotab allows you to compare realized rides to planned ones. Be informed of the eventuality of critical engine problems and prioritize your vehicles’ repairs. Concentrate on proactive and preventative upkeep by detecting problems as they appear and configure maintenance reminders for your vehicles. 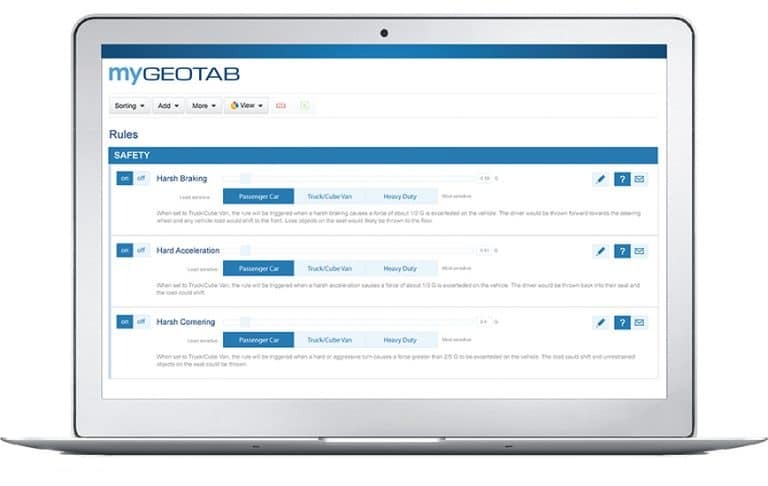 Geotab’s open software developping Toolbox can integrate data on the vehicle and its location to your company’s information managing computer systems or applications from third parties. Visit Marketplace Geotab to see Add-Ins, Add-Ons and other resources. 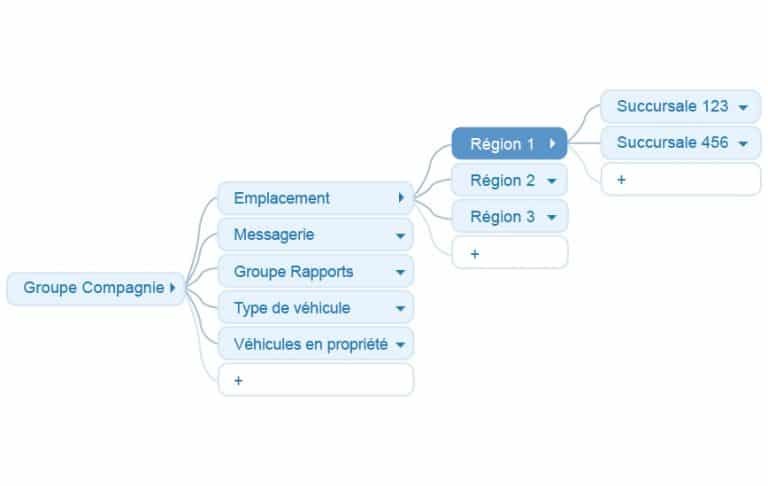 Create maps relevant to your company that automatically combine to the vehicle’s data in the app. The flexibility with displaying maps, captions, and zones’ shape and dimensions allow for a greater personalization.